Home Blog Bakery Auction Online Now! Have you been thinking about opening a bakery? Do you already own a bakery and want to expand or add a location? 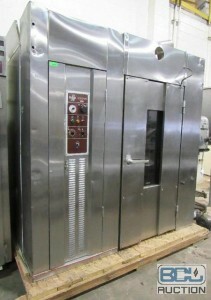 or, do you own another type of food-service or hospitality business and need commercial baking equipment? If any of these scenarios ring true, we have great news for you! 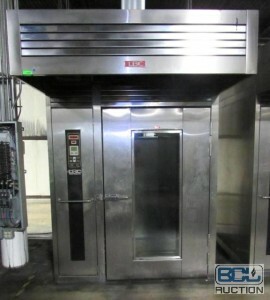 The Industrial Bakery Equipment Auction (Former Theodore Bakery) is online now! 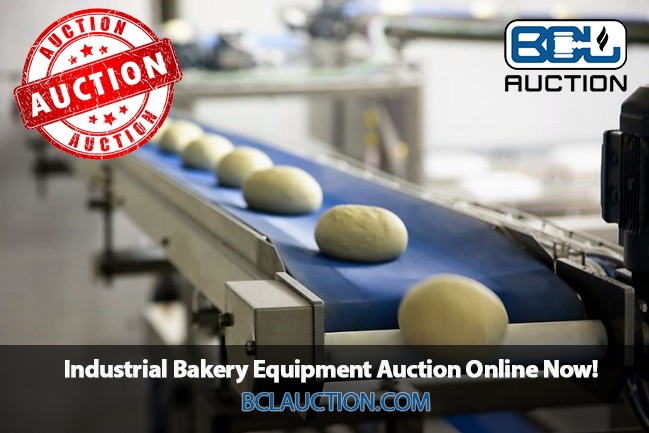 With 196 lots to bid on, this industrial bakery auction has anything a current or aspiring restaurant, bakery, cafe, or other food-service or hospitality industry owner could want or need! ADDITIONAL INFORMATION: NATURAL GAS, 290,000 BTU, 120 VOLT, 12,5 AMP, 1 PHASE. COMES W/ (2) TRAY RACKS. THIS OVEN RETAILS FOR $30,000 NEW. DESCRIPTION: VMI SPI 630 AVI 2 SPEED 600 LB. 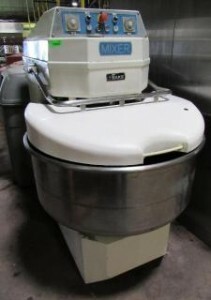 SPIRAL MIXER. 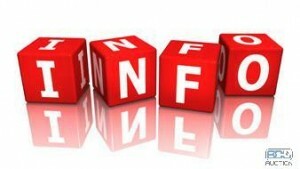 ADDITIONAL INFORMATION: 460 VOLT, 64 AMP, MFG 9/2000. SN# 120257. COMES WITH HEAVY DUTY STAINLESS MIXING BOWL AND BOWL DOLLY. 180 GALLON BOWL CAPACITY. WITH CONTROL PANEL FOR VARIABLE SPEED. 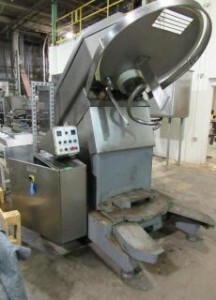 DESCRIPTION: PRO BAKE ASM 200 SERIES SPIRAL MIXER W/ FIBER GLASS GUARD. ADDITIONAL INFORMATION: W/ REVERSIBLE BOWL MOTION. 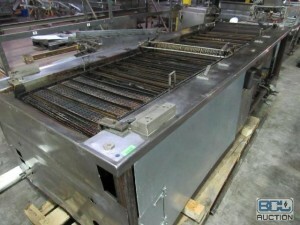 DESCRIPTION: 150″ X 59″ GAS FIRED COMMERCIAL DOUGHNUT FRYER LINE W/ MATCHING EXHAUST HOOD. ADDITIONAL INFORMATION: NO FIRE SUPPRESSION W/ THIS HOOD. 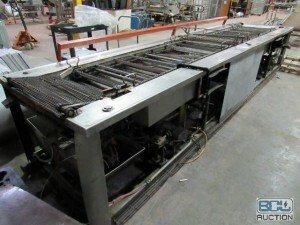 DESCRIPTION: 195″ X 48″ GAS FIRED COMMERCIAL DOUGHNUT FRYER LINE. Lots begin Closing at 8PM CDT in increments of 4 per minute, beginning on Page 1 of the Auction Catalog, until all lots have closed. *Everything must be removed by 3PM on Second Day! Shuttle Service is NOT available! Sorry! ENTER THE AUCTION HERE & BID NOW!